Digital marketing today can be a complicated ordeal. Whereas once there was literally no way to advertise products outside of a business’s direct location without traveling, today it’s nearly impossible to generate interest and sales without using the faceless internet. It can be daunting when you need to trust the success of your business to something as big and impersonal as the world-wide web and trust that your message is not only getting out into the world, but reaching the right people at the right time. Social Media can be a huge boon when it comes to navigating the internet and getting your content out to the people you are trying to turn into customers. 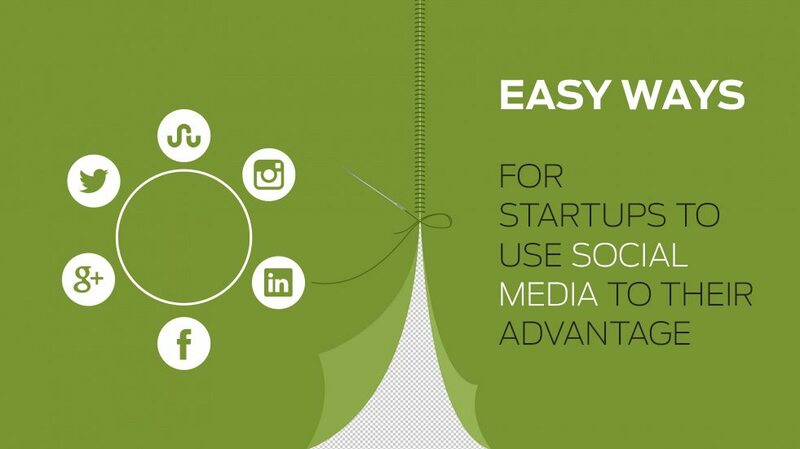 Here are some easy ways to use social media to your advantage without falling into the void of forgotten businesses. Choosing the right platform seems simple- why can’t you just be on all of them, right- but this is an essential step to ensuring you reach the customers that are interested in your products and willing to buy even if they don’t recognize your name or brand identity, so start here. Every social media platform that’s successful today has started with a mission. For some, like Facebook, it’s as simple as connecting people to one another and their interests, but when you stretch into the realm of LinkedIn and Myspace, you start to see a focus. LinkedIn is, of course, for business to business connections and Myspace, a reincarnation of a very different site by the same name, is now all about music and celebrities. When you go to choose a platform, take into consideration what products or services you intend to offer and what kind of personality you want your business to portray. If you’re looking for sophistication, LinkedIn might work for you, but if you’re looking for a party feel, Myspace may be more up your alley. Your creative social media page design acts as a part of your brand image and will be part of the customer experience that either makes or breaks their interest. You need to put effort into designing something that’s unique and still easy to use, streamlined and organized. That’s where the artists at Designhill come in. Easily create a contest that graphic designers participate in to try and capture your idea through the information you provide, you get to see the results of many different minds tackling your one issue and choose the one you want to work with in terms of polishing the results. Using a crowdsourcing platform like ours eliminates the time you spend searching for the designer that’s right for your company. Once you’ve chosen a platform, finalized a design and began to garner interest in your products and services through valuable content, don’t forget to listen to the feedback people will undoubtedly be sharing about their experiences. Kissmetrics.com reveals that consumers like to feel heard and made to feel as though someone cares about their experience. Remember that a negative experience with a company, even if your products or services are otherwise fine and met the customer’s’ needs, could cause them to look elsewhere. There’s always another company willing to cater just a little more than you did and customers will always be on the lookout for that next good thing. Social media makes it easy to create and nurture both small and large communities around your business and empowers your customers to share their thoughts, feedback, ideas and help one another troubleshoot without you having to be directly involved 100 percent of the time. They also offer you a way to interact with your customers and show them that not only are you listening, but you do care about the experiences your products have contributed to. A blog posted on Kissmetrics.com suggests you to instantly address all issues so that the community perceives a good impression that you are a company that cares and will do what it takes to make it right for consumers and that will win you a lot of credibility and favor. Less well-known and less often used is the fact that many social media platforms offer customizable ways to market and sell products right from within their domain. With customized domains, email addresses, marketplaces and shopping carts readily available to every web developer, no matter how novice they might be, it could seem obsolete to use a social media site to this end but there is a lot of value in not only displaying your product via advertisements, but offering them directly for sale with just a few clicks. Social media might not have every answer when it comes to marketing and they have many weaknesses as well, just like every other option when it comes to promoting and selling your products or services online, but they’re a veritable powerhouse of options. Options are what consumers want and are what you should strive to give them the best of. Don’t look down on social media platforms when you can appeal to customers easily on the go, anywhere, and use readymade tools and customizable options to give your consumers the experience you would want, if you were in their shoes. Looking for Customized, On time, Social Media Page Designs? Launch a Social Media Page Design Contest today. Choose from 100+ designs. Take your pick! Umesh Kumar is a digital marketing evangelist who works with Designhill, the fastest-growing custom design marketplace, to develop and execute their marketing strategies. He started his online marketing career in 2008 and is actively engaged with in internet business modeling, web site development, social networks, lead generation, search engine optimization and search engine marketing. In addition, he loves blogging and shares his expertise about tips, tricks and upcoming trends in the world of digital marketing.